Courtesy of Range Realty, Ann Racine. Driving directions: From Estes Park, take Hwy. 7 south. 2 blocks past Meeker Park Lodge, cross over Horse Creek and take the first right. On the left, 3 cabins are in a cluster; it’s furthest down, about a block off the main road, & is dark brown with a new metal roof. 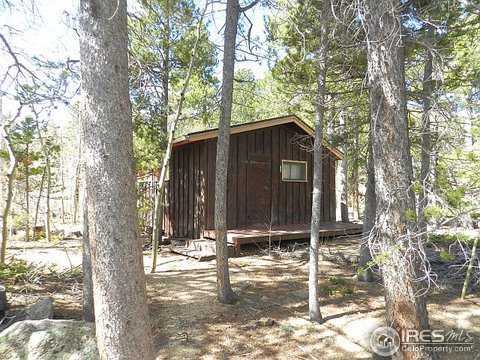 Please, send me more information on this property: MLS# 791716 – $129,000 – 57 County Road 113 S, Allenspark, CO 80510. I would like to schedule a showing appointment for this property: MLS# 791716 – $129,000 – 57 County Road 113 S, Allenspark, CO 80510.